If you’re a marketer, and you’re not keeping up with digital marketing, then you won’t be a marketer for much longer. Digital marketing is big. Really big. And getting bigger. Really bigger. In that sense it’s like the universe, but just not quite as big. If you’re a marketer, and you’re not keeping up with digital marketing, then you won’t be a marketer for much longer. Or, at least, you won’t be nearly as effective as you could/should be. 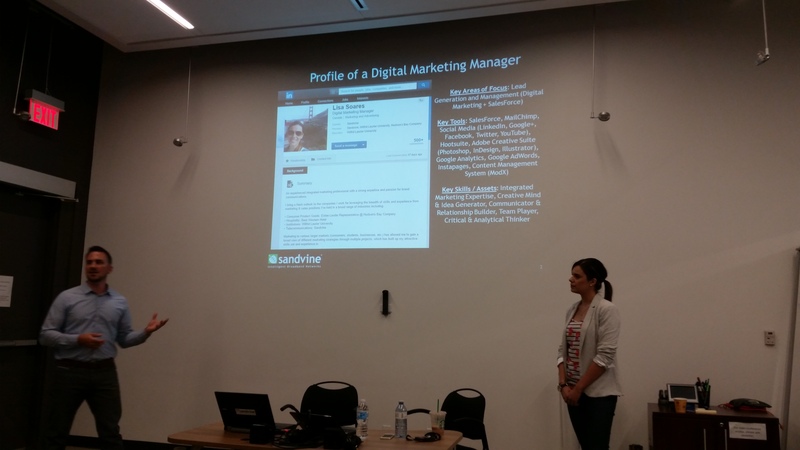 Digital marketing has been a subject at several recent Communitech events, and yesterday we were treated to another: Strategies for Effective Digital Marketing, presented by Lisa Soares, the Digital Marketing Manager at Sandvine. 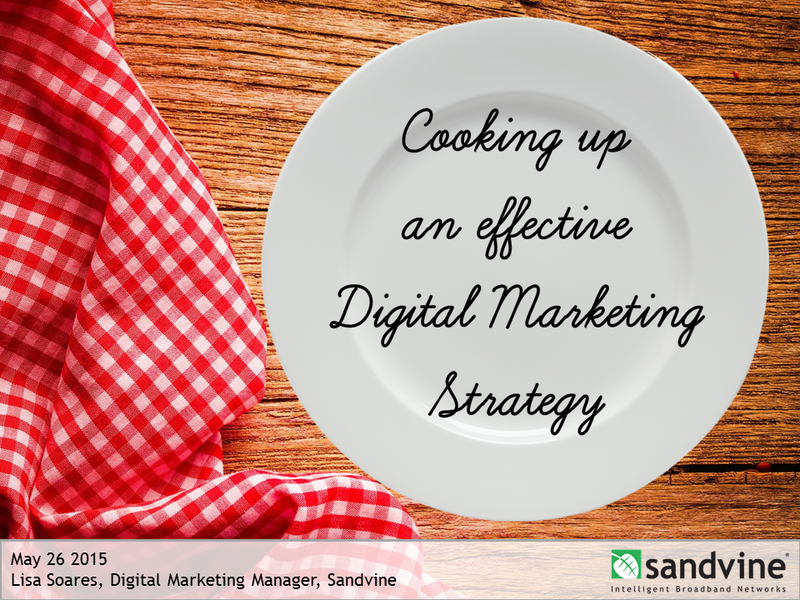 Lisa gave us a wide-ranging rundown of digital marketing, touching on many important aspects. I’ve worked with Lisa for a number of years at Sandvine, and have seen her embrace new responsibilities and excel in their fulfillment. 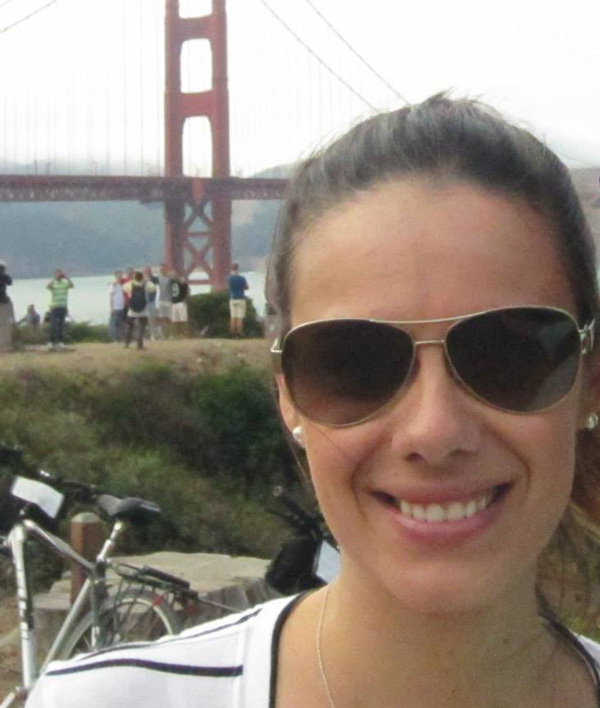 It’s also been my pleasure to kind’ve tag along with her as she’s dived into digital marketing, so I have the insider scoop on what she’s been doing. That said, I didn’t know exactly what she was going to present, but I knew it’d be fun and useful for those in attendance. Lisa got a bit more of an introduction than most speakers, as Matt used the introduction as a way to build a profile of a modern digital marketer (quite similar to this, not surprisingly). I thought this tactic was quite effective, and it saved Lisa from having to spend time talking about herself (which can feel awkward as a speaker). Lisa was caught by surprise by this introduction, delivered by Matt Duench. It was funny. Also, I’m not a photographer. True to fun form, Lisa had chosen a delightful theme for her session: cooking! Lisa began by reviewing the appetite for digital marketing, with it representing the next wave now that radio and TV have had their run. What’s particularly interesting is that digital marketing is far more than just a new marketing channel – it’s a new marketing approach. In the digital world, customers have a voice, there is two-way communication, and marketers get real-time feedback. Digital marketing is far more than just a new marketing channel – it’s a new marketing approach. In the digital world, customers have a voice, there is two-way communication, and marketers get real-time feedback. Lisa used a number of campaigns from her own experience to illustrate the diversity of objectives, the tactics that are applicable in each scenario (for instance, when should you use pay-per-click advertising, landing pages, social media, etc. ), and how to measure success. Throughout the deck, she touched on a long list of specifics, including: Google Adwords, organic content and SEO, landing pages (e.g., Instapage, LeadPages, Optimizely), sponsored and non-sponsored webinars, LinkedIn sponsored updates, LinkedIn showcase pages, Twitter, Google+, YouTube, A/B testing, blogs, Google Analytics, optimizations for mobile, video content, link tracking, lead grading, and some other specific tools (e.g., Bitly, Hootsuite, SEMRush, BuiltWith…and more). See, I told you it was broad! The challenge with this type of session is that you’re speaking to a diverse audience: a few have been doing digital marketing for years, and might pick up only one or two tidbits, or perhaps even none at all; a few have basically never touched the subject, and have received some mandate to “do digital marketing!”, and so were writing feverishly the whole time; many fall somewhere in-between. For what it’s worth, I thought Lisa did a great job in speaking generally to the masses, with enough specific examples to drive points home, while still being able to field questions that went a little bit deeper. There were a few minutes of discussion at the end, during which some of the attendees shared their own experiences and their opinions of the tools that they’ve used (e.g., Slack, WordPress, etc.). Part of the value of these session is their interactivity and diversity. For me, it’s pretty clear that there’s an appetite for deeper dives into digital marketing, so I wonder if Communitech will look into hosting a hands-on boot camp or something on the subject. My thanks to Lisa for sharing her experience and knowledge with us, and to Communitech for running the Strategic Marketing Peer-to-Peer series.